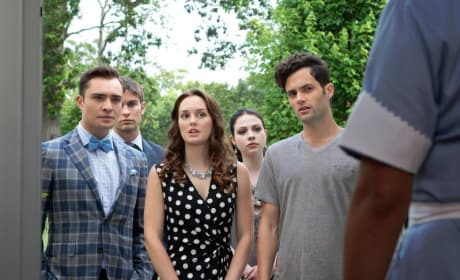 Nate, Chuck, Blair, Georgina and Dan in a photo from the much-anticipated sixth and final season premiere of Gossip Girl. "Gone Maybe Gone" airs October 8, 2012. Serena is getting married, or so it appears, in this photo from the final season premiere of Gossip Girl. "Gone Maybe Gone" airs October 8, 2012. 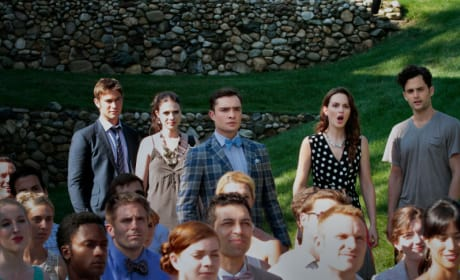 B, D and G in a photo from the final season premiere of Gossip Girl. "Gone Maybe Gone" airs October 8, 2012. 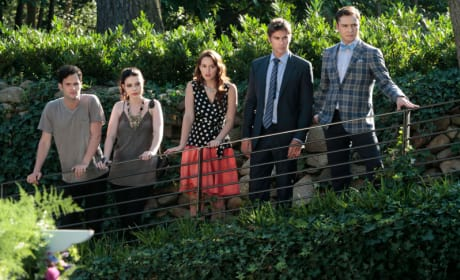 Nate, Chuck, Dan, Blair and Georgina in a photo from the final season premiere of Gossip Girl. "Gone Maybe Gone" airs October 8, 2012. Leighton Meester as Blair Waldorf in a photo from the final season premiere of Gossip Girl. "Gone Maybe Gone" airs October 8, 2012. 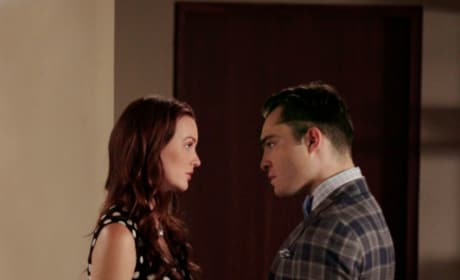 Nate and Georgina in a photo from the final season premiere of Gossip Girl. "Gone Maybe Gone" airs October 8, 2012. 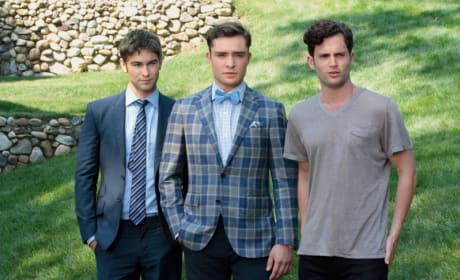 The Gossip Girl gang is back! We can't wait for the final season.